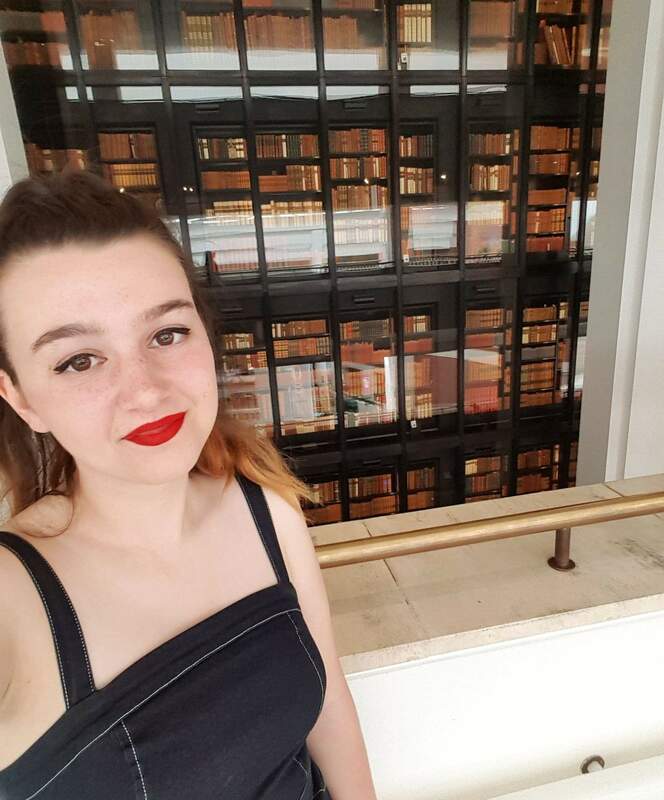 Hailing from the University of Melbourne, English Literature student and Evelyn Waugh enthusiast, Isabella Hanger got in touch with the Complete Works, in the hope of gaining some hands – on experience working with Waugh’s writings. Eager to gain insight into Waugh’s life and works, Isabella spent one full week of her month – long trip to the UK, working on the Complete Works project. Here, Isabella reflects on time spent getting to know Evelyn Waugh both in the University of Leicester and at the British Library, London. I came across the Complete Works project when putting together a rather messy proposal for my honours thesis. I knew I wanted to write on the work of Evelyn Waugh (the finished proposal was just as vague) but pledging to devote a year of my life to a deceased author of whom I presently knew very little was rather daunting. As I continued with clumsy Google searches however, looking for information just specific enough to allow my proposal to appear moderately well considered, I felt that the coinciding of my first research project with this major publication was rather timely – perhaps too timely; a personal call to Waugh studies even (if we overlook the fact that this ‘coincidence’ could have taken place in any of the past five years of the project’s existence). And so, I signed and sealed my proposal and proceeded to contact the team at the University of Leicester in the hope of meeting those working on the publication. The wonderful Dr Barbara Cooke and I had originally endeavoured to meet in London to talk all things Waugh, when, mid-flight from Melbourne, I received an email from the lovely Grace Boland. She invited me to the university to undertake some work experience and I knew my London itinerary would need to be revised to make way for a trip to the Midlands. It was my first visit to Leicester and although I spent most of my time at the university, I did gain a real sense of the city’s charm. My first impressions were a little obscured I’ll admit, having seen the city through bleary eyes and the window of a taxi after sleeping all the way from London. An early-evening wander through the city centre however, confirmed what I had guessed; that Leicester would endear itself to me very quickly. 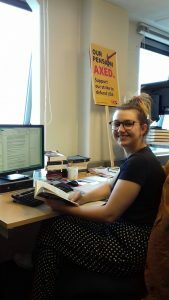 Grace had organised a wonderfully varied schedule for me; in between working with her in the office I was able to meet with those involved in the publication. Over lunch, Prof Martin Stannard introduced me to theories of editing (a concept I had never previously considered and by which I am now suitably intrigued), shared his love of Adelaide and its surrounds and his university capers as a young student in Edinburgh. Dr Barbara Cooke and I discussed my thesis ideas over tea and she shared her experience on the project as an editor, her current research involving the tracking of variants between previously published international editions of The Ordeal of Gilbert Pinfold and the curiosity of omissions and additions. At the Salvador Deli, Dr Rebecca Moore discussed with me her intriguing PhD and very kindly provided me with a wealth of references over delicious deli sandwiches. It was so valuable to receive advice from someone who has previously tread the terrain I am only beginning to navigate. Grace shared her wealth of experience in Arts management and observing her work and the scores of projects she is currently overseeing was a wonderful insight, encouraging me to consider a role of which I was previously rather ignorant. In the office with Grace, I engaged true literary fan-girl mode as I worked with Waugh’s letters to Nancy Mitford. Even in photocopied form, it was fascinating to see Waugh’s handwriting (and then to feel the accomplishment of decoding it!). I made sure that the letters were correctly filed and clearly labelled, both in hard and soft copy, engaging in some detective work to place undated papers. I also set to work on editing against the photocopied letters some very entertaining electronic transcriptions, giggling away as much at the mis-copies as at Waugh’s dry wit. His correspondence is fascinating both as a historical document and a ‘behind the scenes’ look at the author through his social interactions. It is very easy to unconsciously dismiss the actuality of an author – those since-departed especially – as a fabrication of paper and ink. Interacting so closely with Waugh’s private self, despite his remaining on paper, truly brought him and the world of post-war England into tangible existence. I ended my mini research expedition to England with my first visit to the British Library at St. Pancras. I was overly excited to receive my reader’s pass and British Library pencil and to transplant my belongings from my backpack into the special reading room plastic bags(!). Pretending to be a thoroughly experienced academic (a facade that may or may not have held up as I stopped for a selfie in front of the The King’s Library), I strode over to the Western Manuscripts room where I collected my pre-ordered volumes of Waugh’s letters. I spent a good few hours poring over the handwriting I had become so familiar with over the past week. Being acutely aware that Waugh had once sat in front of the paper that was now couched in its little bean bag before me, his voice seemed to emit all the more of his characteristic cutting irony, oft-expressed disdain and his wonderfully blunt criticism. It proved a very fitting way to tie up my excursion. I would like to express my most sincere thanks to Grace who looked after me so beautifully during my visit and to those who made time to meet me and impart their wisdom. I have been able to enter the labyrinth of thesis-writing feeling well immersed in the world of my chosen author and this has only served to heighten my enthusiasm in beginning research. My connection to the wider Waugh community has given my project a new purpose and resonance.